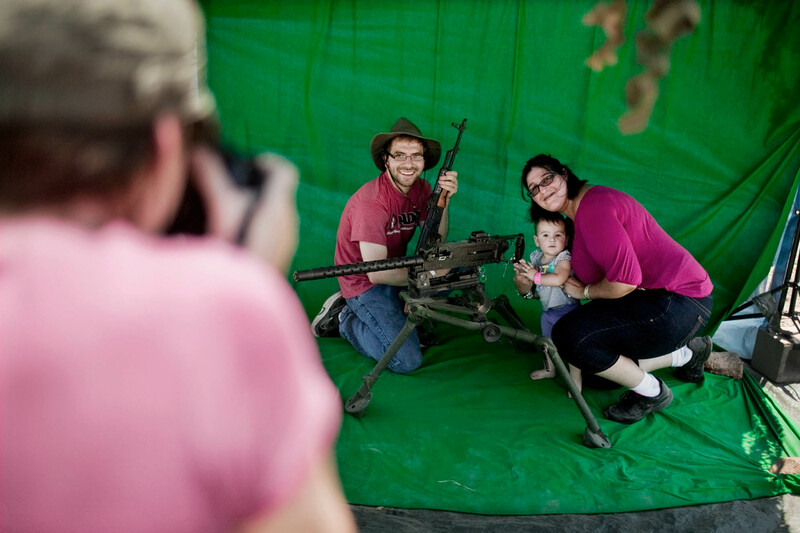 Ryan, April and Olivia Ireland from Neosho, MO have their portrait taken with automatic weapons at the shoot. "Everyone has a bucket list," April explains enthusiastically. "He [my husband] wanted to jump out of a plane. I wanted to use the biggest guns to blow up a car." As a first time shooter, April addressed the adrenaline rush. "When you see your baby the first time as a mother you have that adrenaline," she says. "That's what I had when I was shooting." The Ireland family remains in possession of so-called "exhibit C", a pistol used in a bank robbery by Ryan's great uncle.